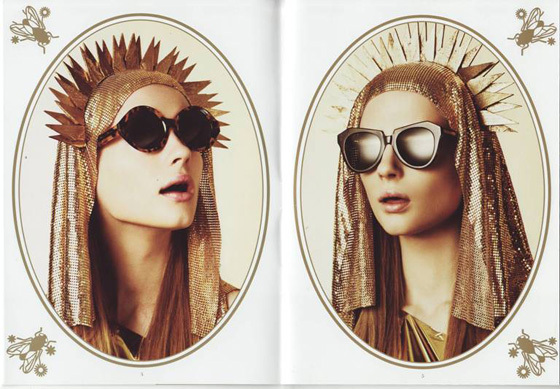 how fun are these lookbook images featuring karen walker's sunglasses collection? i could definitely use a pair with the gorgeous and sunny weather nyc is getting this week! wow. i love how she styled them. great! 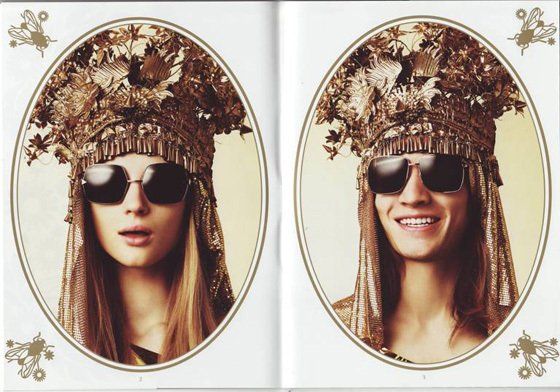 I want the top headdress. 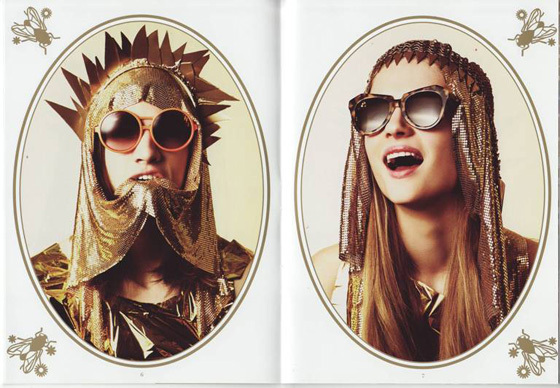 I have no idea where I'd wear it, maybe just meh at home on the couch - chilling in my gold headdress.